Acai bowls have been blowing up our Instagram feeds for the last little while so I decided to give it a try myself! I have a smoothie on the regular so I used my main regular ingredients plus some. 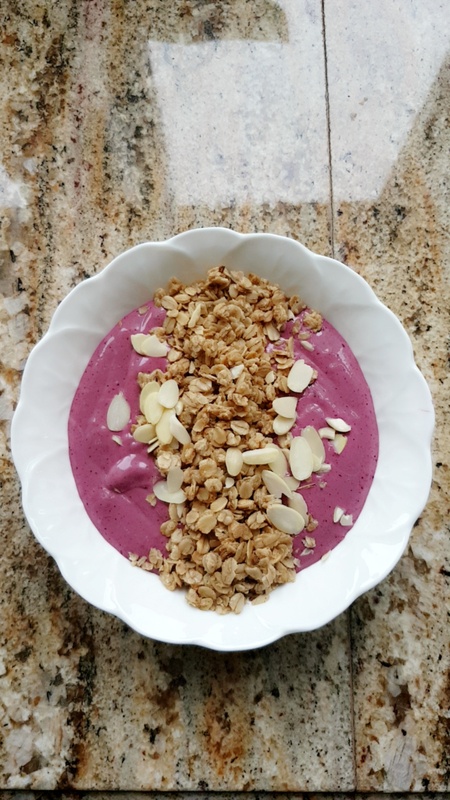 For my bowl I used: Greek yogurt, frozen mixed berries, fresh banana, superfood powder mix (as my bulk barn was out of acai powder), mixed together and topped with granola and almond halves.